Mercedes' quirky city car brand may not be around forever. The Smart brand has always been a niche player in the US market, where gas is cheap and pickup trucks and SUVs rule the sales charts. 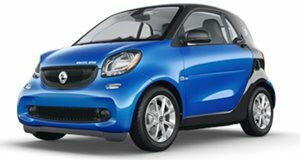 Last year, Smart was only able to move a little over 3,000 units in the US. To put that number into perspective, Alfa Romeo was able to move nearly three times as many Giulias in the same year. Clearly, parent company Mercedes-Benz has some important decisions to make with the Smart brand. We've , but it seems like Mercedes may simply give up on its quirky city car brand as . Smart is currently in the by 2020, though even this may not be enough to save the troubled brand. According to reports, Renault is planning on pulling its partnership to produce Smart cars when the ForFour and Twingo each reach the end of the cycles. Mercedes doesn't want to continue building Smart cars without a partner, so it may kill off the brand by 2026. Unless Volvo's Chinese parent company Geely is interested in a partnership, this could spell the end of Smart. There is a small chance Mercedes will still compete in this segment with its own small car, which would . This decision would have to be made by 2021 when Mercedes signs off on the next-generation A-Class, which will likely arrive in 2025. The new A-Class would use a scalable architecture, which would make it easy to build a city car on the same platform. We may not know for a few more years, but Smart could be living on borrowed time.